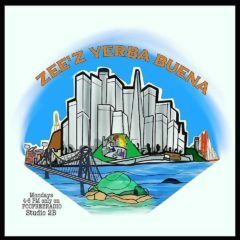 Zee’z Yerba Buena #42 – Radio for the People, by the People. It’s Monday!!! That’s right! It’s time for Zee’z Yerba Buena!!! Zee here back with another great show! I will be joined by my good friend and Bernal local Jerry Waki!!! We’ll talk SF life, movies, music, arts and podcasts!!! We have a great playlist ready for the day so don’t miss out! Tune in today live from 4-6pm in Studio2B only at Fccfreeradio.com!! Don’t forget to use those supper cool listen live buttons right on the Fccfreeradio home page!! !